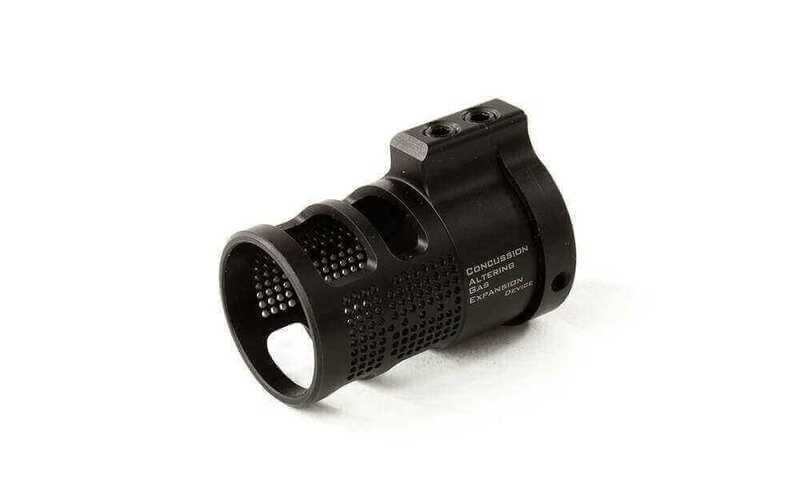 Get the recoil-reduction of a muzzle brake, without the noise and concussion. VG6’s CAGE (Concussion Altering Gas Expansion) device reduces the concussion commonly experienced with muzzle brakes. Working in conjunction with VG6’s Gamma and Epsilon series of muzzling brakes, the product overlays the brake, allowing further disruption of concussion and greater muzzle control. Slow gasses down through the porting of the devices so they can expand more uniformly, which reduces the noise and concussion caused by muzzle brakes. A disruption of horizontal and side concussion and a smoother transfer of energy. Great addition to my AR 15 !! Excellent results !! As always AT 3 Delivers as promised !!!! Thanks for sharing your feedback, Hector. We're glad you're satisfied with your purchase. Cheers! Got two more of these excellent cage devices! I already own four of the VG6 muzzle devices......two of the epsilon 556 and two of the gamma 556. I couldn't pass up the fantastic deal AT3 had on these breaks and cage devices. They work perfectly and help to reduce the side blast felt by shooters in the adjacent stalls. I highly recommend them!